Have you ever noticed a repetitve gesture VIXX member Ravi likes to do, whenever he's caught on camera? Especially at the end of music shows? Because Starlights (or VIXX's official fanclub) sure have, and it's this gesture below! Whenever Ravi noticed a camera in his peripheral, he draws a star in midair with his finger, giving a mini shout out to VIXX fans or Starlights each time. 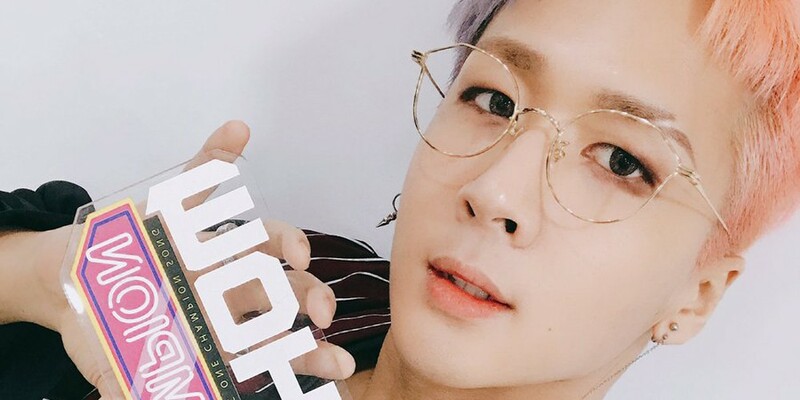 Fans whose hearts were seriously stolen by Ravi's sweet little gesture each time commented, "So warm, so cute, so loving...", "I only wait for the music show endings kekeke", "It's so fun to look for our Ravi drawing his star", "Master of drawing a star at the speed of light! ", "The star is drawing a star for his starlights", "Even if the star is kinda deformed sometimes it's okay, I love them all", and more!